Active Workforce is preparing for this year’s Duathlon at Litherland Sports Park! Taking place on Wednesday 3 October, the Duathlon will consist of a 1.5k run, followed by a 5k cycle and ending with another 1.5k run. This is a great opportunity to try a sporting challenge that you might not have tried before and participants can run or walk at their own pace. Open to those aged 16 and over of any ability, entries cost £10 per participant or £7.50 to any employees of the 10 Active Workforce companies. Changing rooms, showers and lockers will be available and water and refreshments will be provided after the race. There will also be limited bike hire, please inform Active Workforce if you’ll need a bike upon registration. 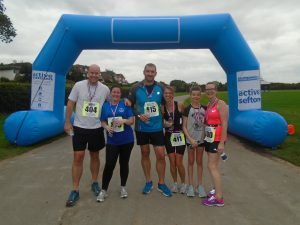 Cllr Ian Moncur, Sefton Council’s Cabinet Member for Health and Wellbeing, said: “The Active Workforce offer just keeps growing and it’s amazing that we’re able to offer events like the Duathlon in Sefton. To sign up for the Duathlon email active.workforce@sefton.gov.uk. Entries close Friday, 28 September. Part of Sefton Council’s leisure offering, Active Workforce provides opportunities for fitness and wellbeing both in and out of the workplace.